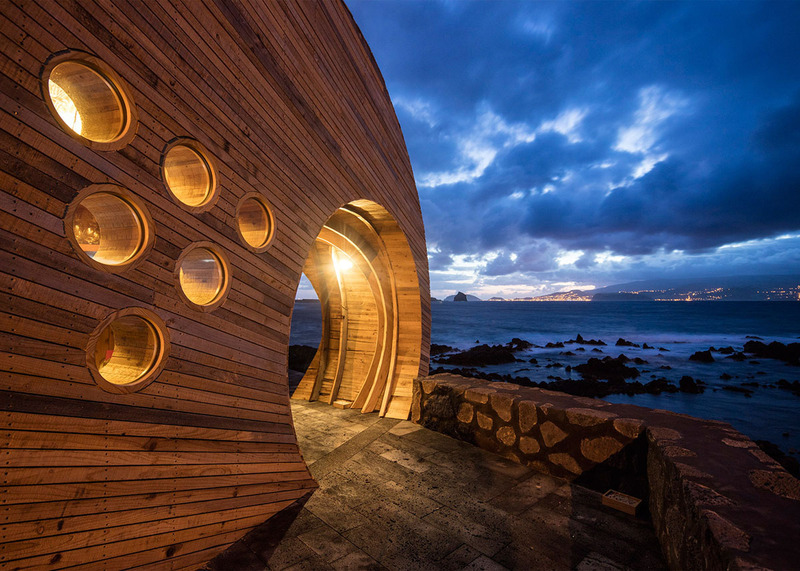 Designed by Portuguese firm FCC Arquitectura and interior designer Paulo Lobo, the Cella Bar is located on the west coast of Pico, one of the nine islands that makes up the Azores archipelago in the middle of the North Atlantic Ocean. 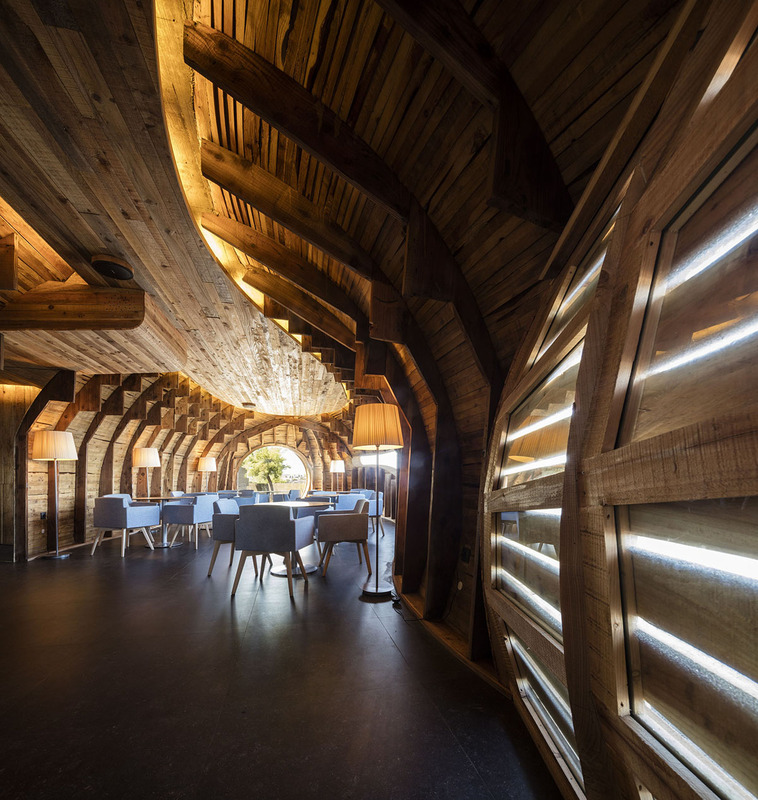 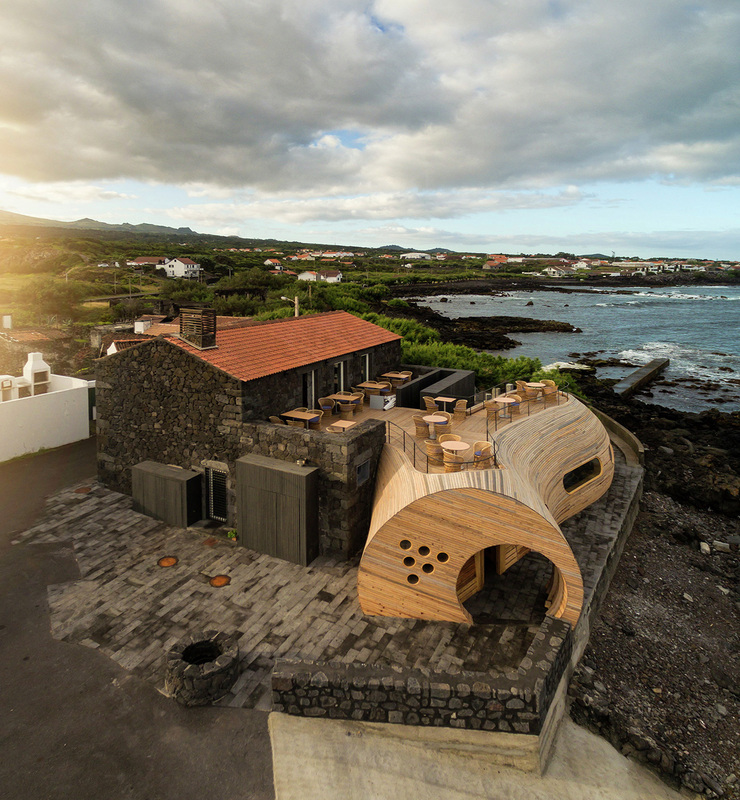 This restaurant and bar in the Azores comprises two buildings – a remodelled barn with volcanic stone walls, and a bulbous timber extension conceived as a cross between a whale and a wine barrel. 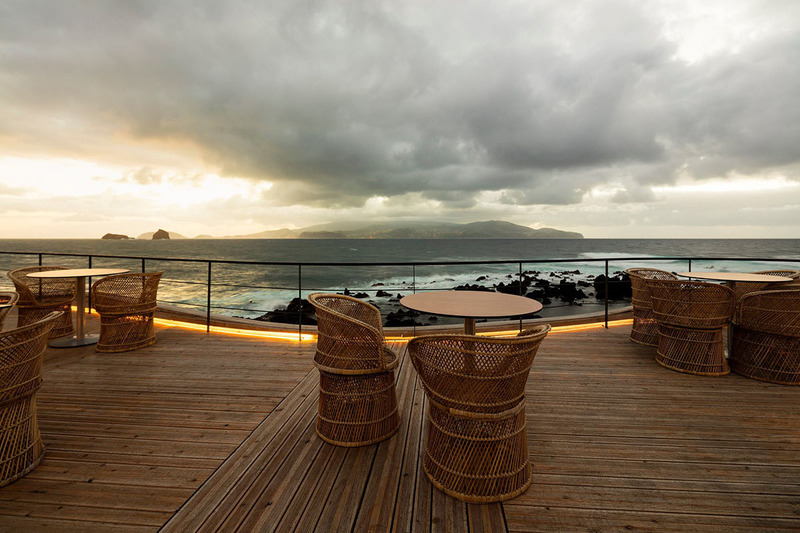 Cella Bar is serving afternoon tea, tapas dining and evening cocktails. 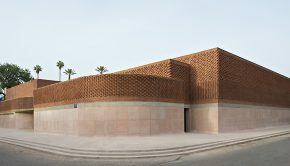 It also hosts live music performances at the weekends.